BRYAN EATON/Staff Photo. 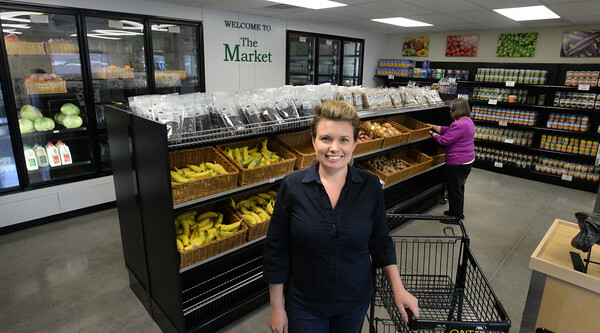 Lyndsey Haight, executive director of Our Neighbor's Table in the organization's new space on Main Street in Amesbury which opened last Thursday. Volunteer Jeanine Fowler, rear, arranges some shelving.